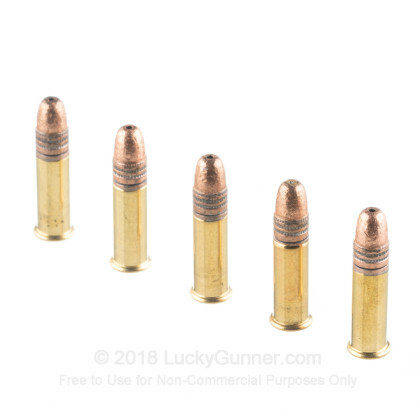 If you are looking for affordable bulk .22 LR ammunition to use when varmint hunting, plinking, or range training, these .22 LR 37-grain Hollow Point cartridges are a solid choice. 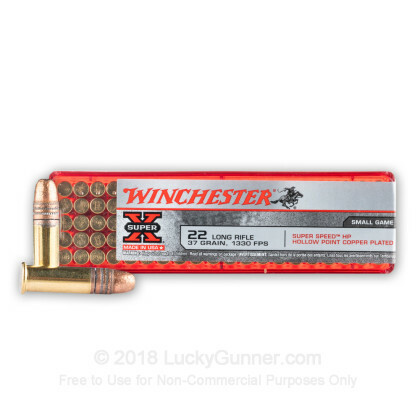 Manufactured in the USA by Winchester, these .22 LR Super-X rimfire-primed cartridges are light-weight, inexpensive, and effective. 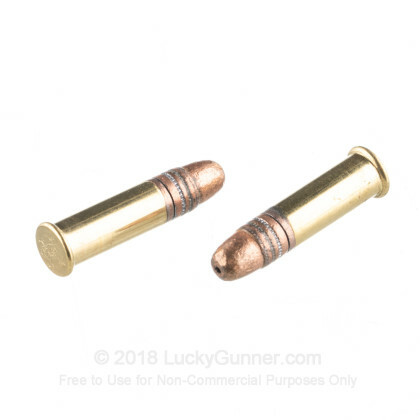 Firing at 1330 feet per second from a rifle-length barrel, this small but mighty round will strike your next squirrel or rabbit with proven accuracy. The hollow point projectile expands on impact to ensure terminal performance when striking small targets. 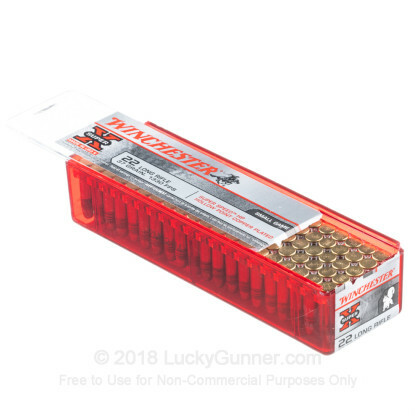 This .22 Long Rifle ammo is perfect for novice shooters because of its light recoil and soft report, so you can shoot round after round to improve your marksmanship! Winchester has spent the last 150 years creating its trusted brand name and has forged a reputation for itself as an elite manufacturer of American-made ammunition. Their time-proven dependability means you can shoot with confidence knowing your Winchester ammunition has been developed to industry-leading standards that hunters and sports shooters alike have come to know and trust for all their shooting needs. 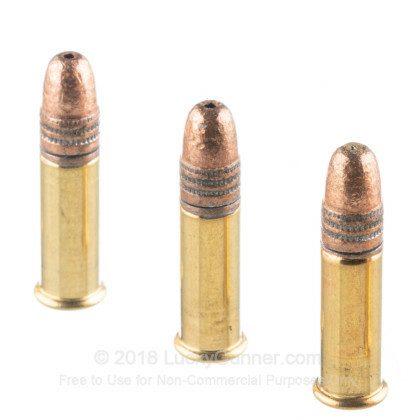 Unbeatable quality for an unbeatable price, get this .22 LR ammo in bulk today! 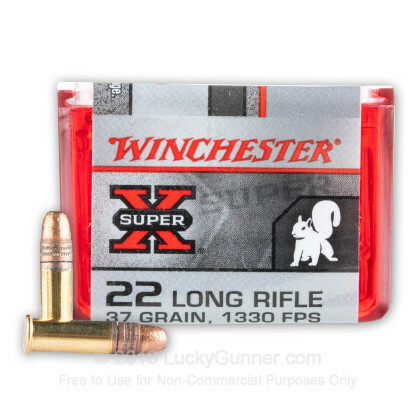 We also have this 22 LR - 37 gr CPHP - High Velocity - Winchester Super-X - 100 Rounds ammo in stock in a smaller quantity.